*Author: Waithe, Mary Ellen (EDT) *Series Title: HISTORY OF WOMEN PHILOSOPHERS *Subtitle: Modern Women Philosophers, 1600-1900 *Publication Date: 1991/03/01 *Binding Type: Hardbound *Language: English *Depth: 0.75 *Width: 6.75 *Height: 10.00. There's no greater feeling than getting the perfect item with the most features at the lowest price. 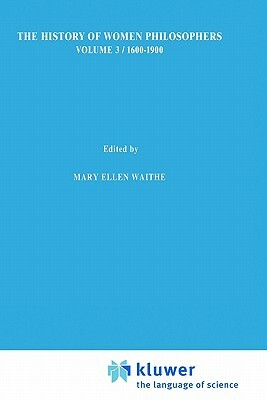 When you purchase this A History Of Women Philosophers By Waithe, Mary Ellen (EDT), you can be confident that you've found the best deal available online. Most shops charge the list price for this item, which is $432.36. At UnbeatableSale.com, you save $20.59 on our everyday price - that's at least 5%! Want to save even more? Look for items marked FREE SHIPPING for free shipping within the continental United States. At UnbeatableSale.com we are committed to protecting the privacy of our customers and using personal information responsibly.